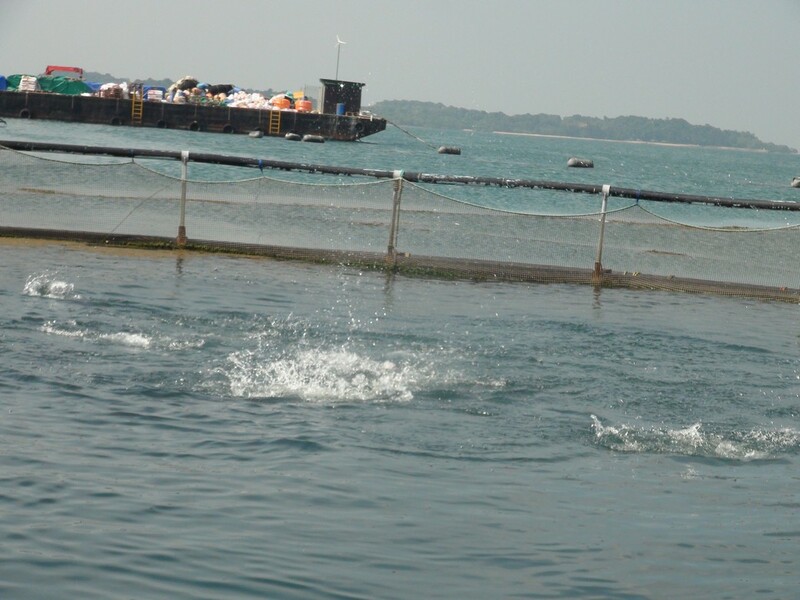 SINGAPORE - Off the southern shores of Singapore just a 15-minute boat ride away, is a fish farm with a mission to provide consumers with the freshest barramundi possible. 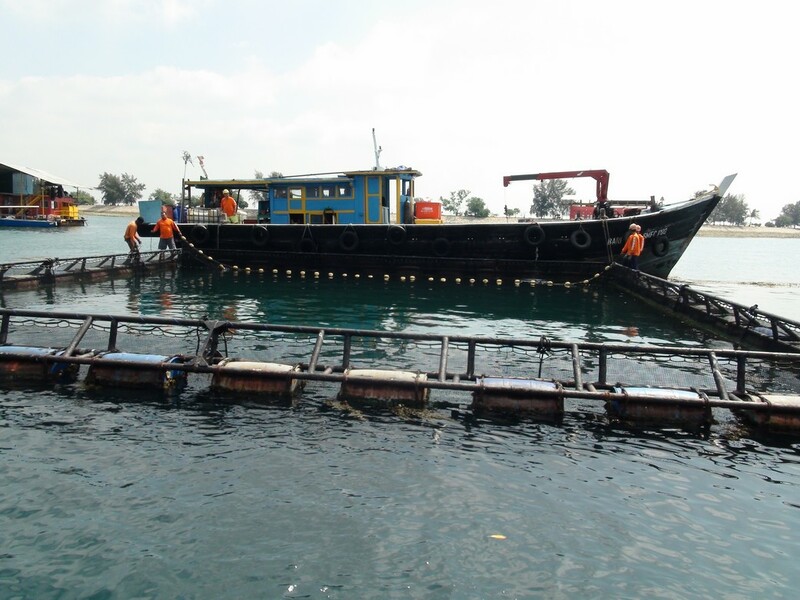 AsiaOne recently had the opportunity to visit Kuhlbarra, Singapore's largest commercial fish farm. 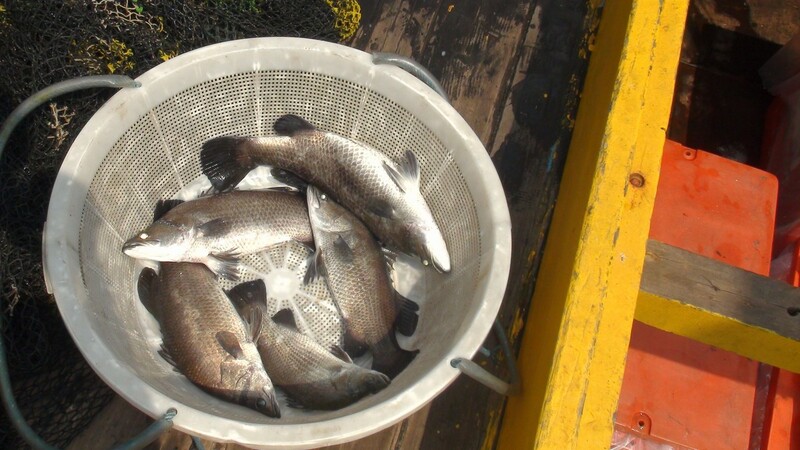 It is also the first to raise barramundi, a type of seabass. 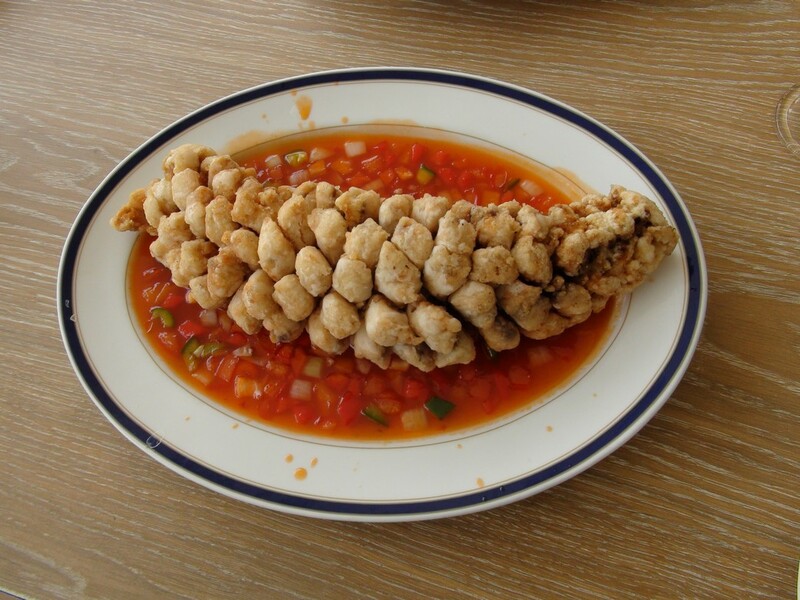 The fish is highly nutritious, being low in fat and high in Omega-3 fatty acids, which fend off the risk of heart disease. The people behind Kuhlbarra emphasise their "farm to fork" model heavily, meaning that an order of fish will go straight to the doorstep, cutting out middlemen such as supermarkets. 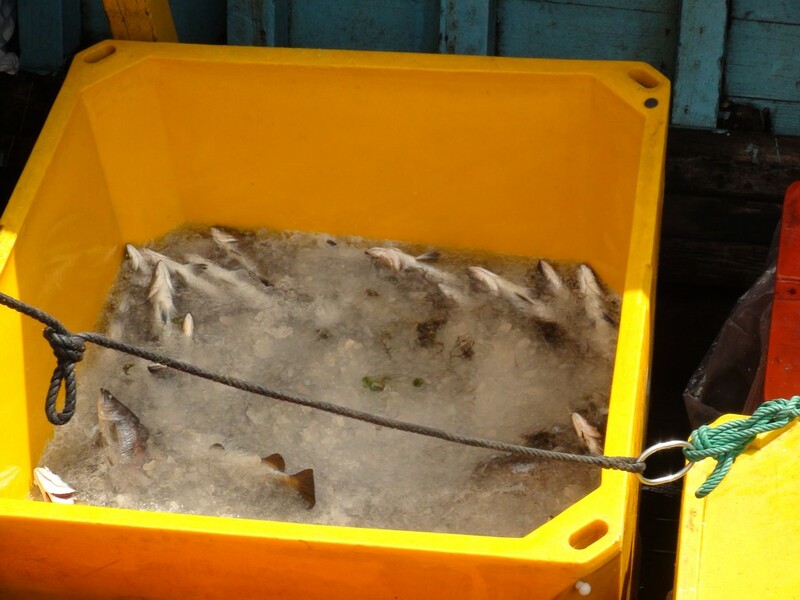 This allows the consumer to know exactly how fresh their barramundi is. 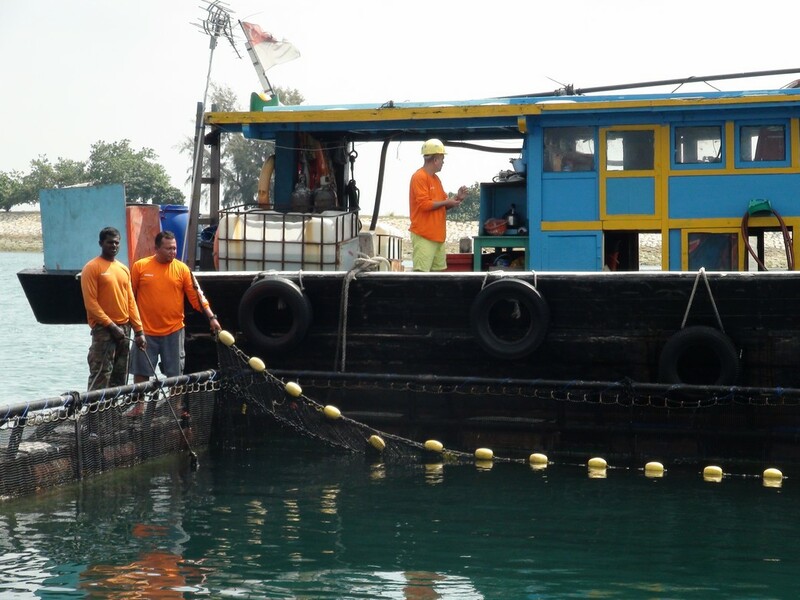 Kuhlbarra, located off the southern shores of Singapore, delivers fresh barramundi to customers. 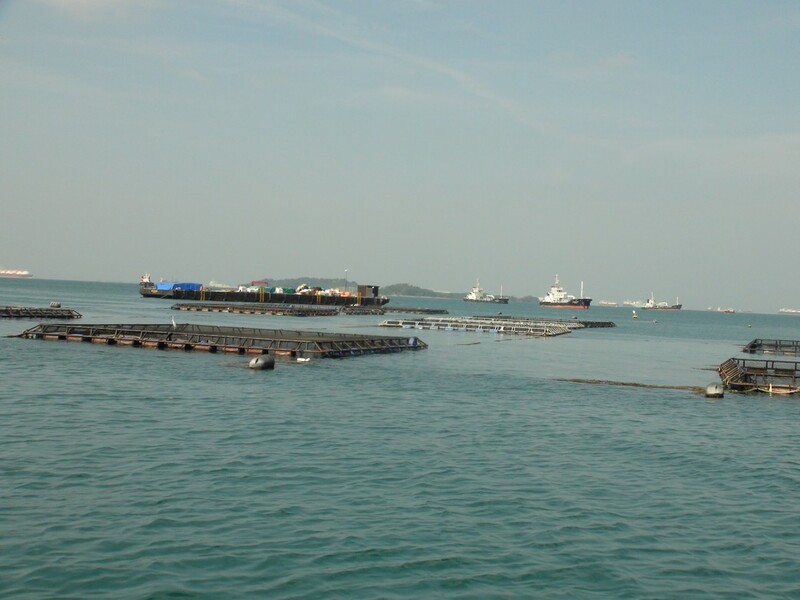 It is the largest commercial fish farm in Singapore, and the first one to rear barramundi. The fish are highly nutritious, containing generous amounts of Omega-3 fatty acids, which are useful in fighting heart disease. 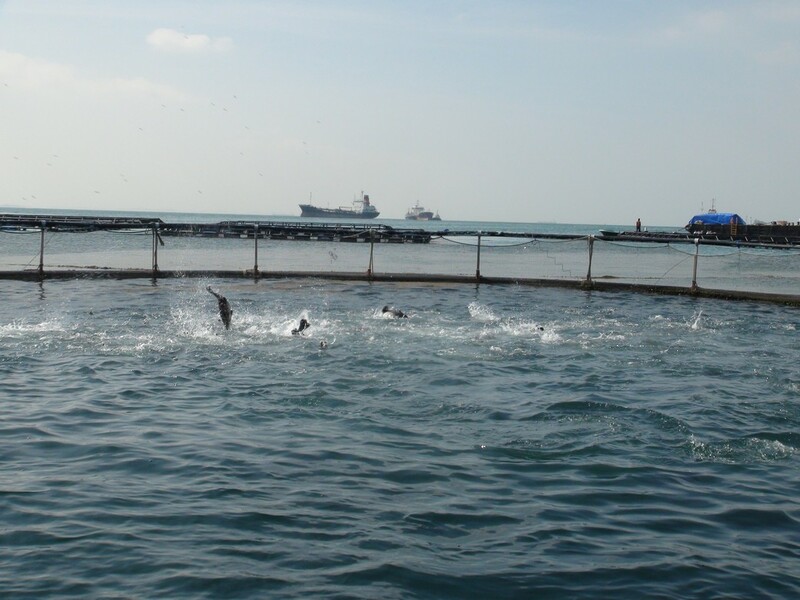 Singapore's waters are perfect for raising barramundi, according to Managing Director Mr Joep Kleine Staarman. 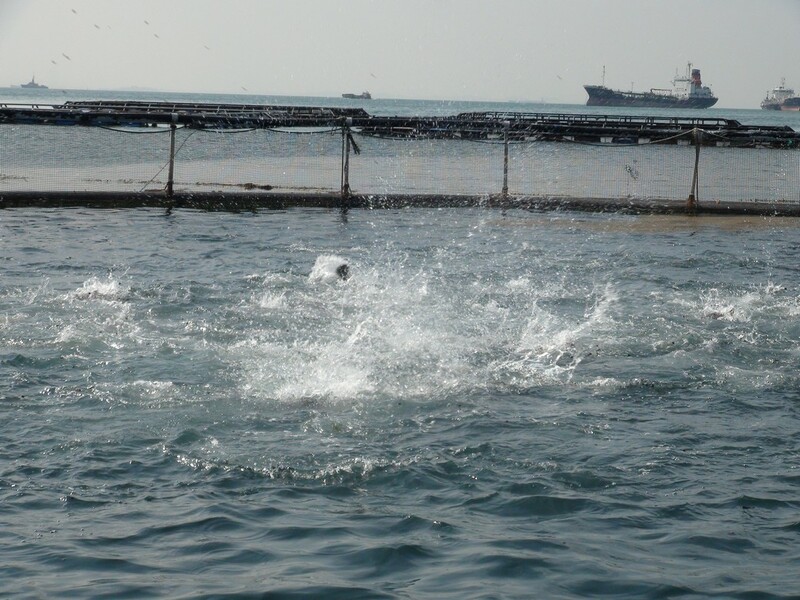 The strong currents of Singapore's waters create an oxygen-rich environment that is perfect for the barramundi. 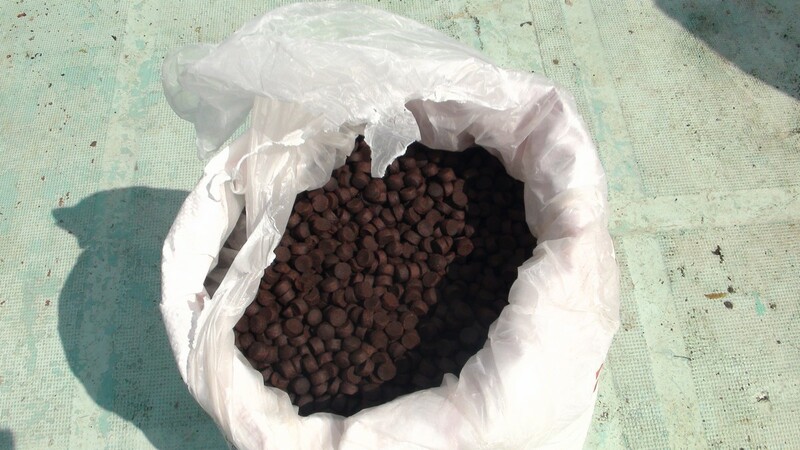 To further increase the quality of the fish, they are well-fed with special pellets, made from a mixture of fish and plant proteins. This emulates the nutrition from the natural diet of the barramundi, making it as close to the wild-caught variety as possible. 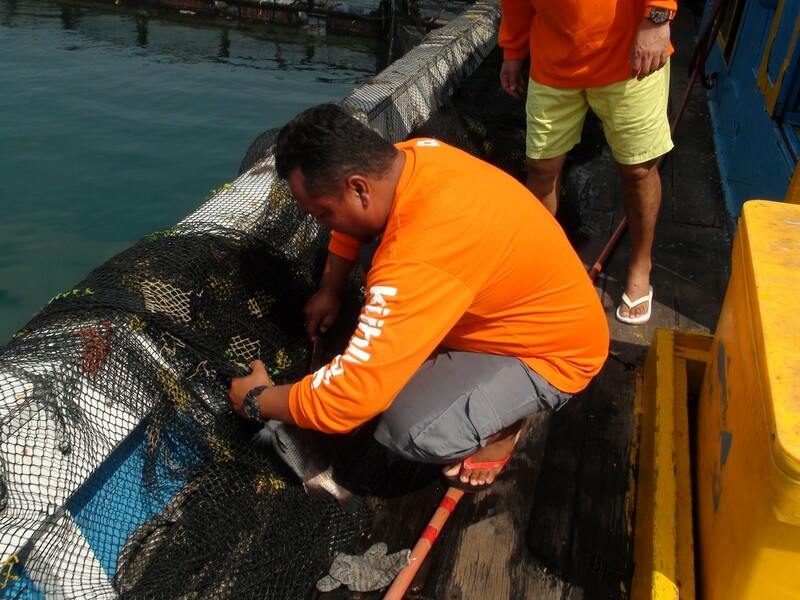 The fishes are harvested to order, and buyers will get their barramundi within just 48 hours. Its strong currents produce oxygen-rich seawater which benefit the barramundi greatly. 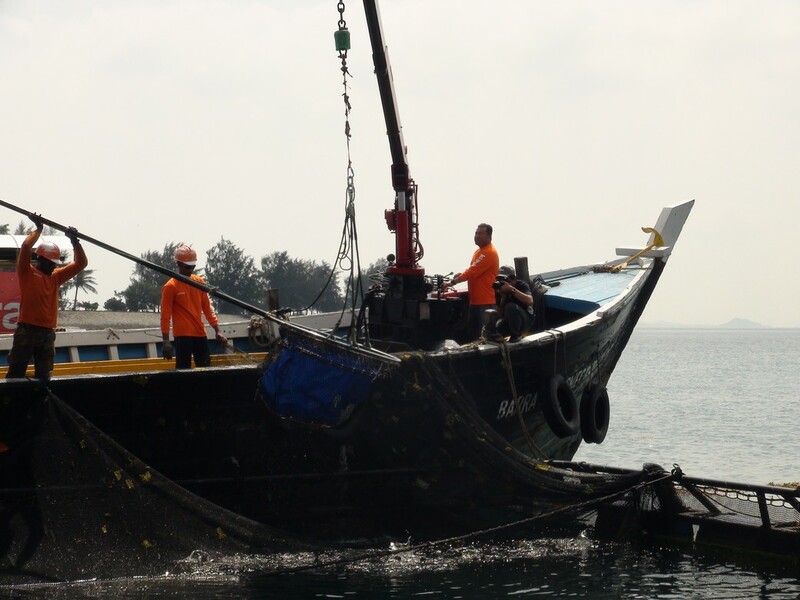 The nets are deftly brought in to make catching the fish much easier. Another net attached to a crane scoops the fish into a container filled with ice. 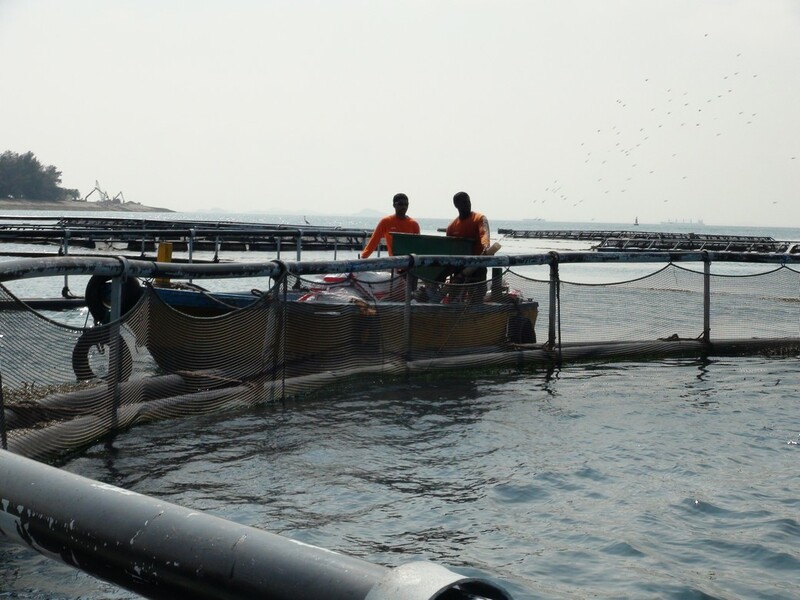 This ensures that the fish are chilled from the moment that they are out of the water, preserving their freshness. This is part of the "farm to fork" model that Kuhlbarra is promoting, under which consumers know that their fish is fresh from the farm, and not frozen for days beforehand. They are then processed at a nearby processing plant, also under frigid conditions, vacuum sealed, and then sent to the doorstep of the buyer packed in even more ice. 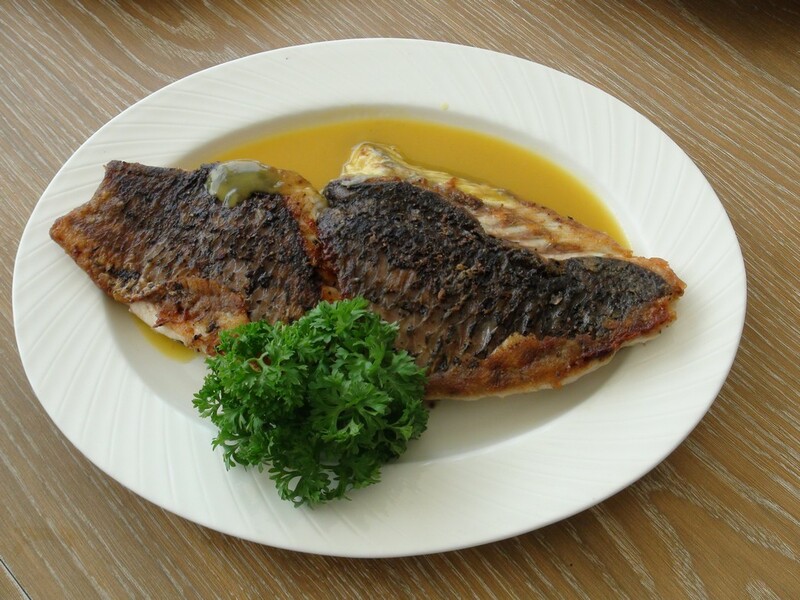 After the customer receives their barramundi, they will find that a wide variety of dishes can be prepared from it. It can be fried Thai-style with sweet and sour sauce, pan seared, or steamed, just to name a few. For more information, visit Kuhlbarra's official website at http://www.kuhlbarra.com/. The barramundi are harvested to match orders, then filleted and vacuum packed at a nearby processing plant before being sent directly to the customer, a process taking just less than 48 hours. To preserve the freshness and the flavour of the fish, the barramundi are kept chilled throughout the processing period, even from the moment they are harvested. After the fish is delivered promptly, fish lovers will be delighted to know that barramundi can be prepared in a myriad of ways, ranging from a hearty deep-fried version to the traditional steamed fish. 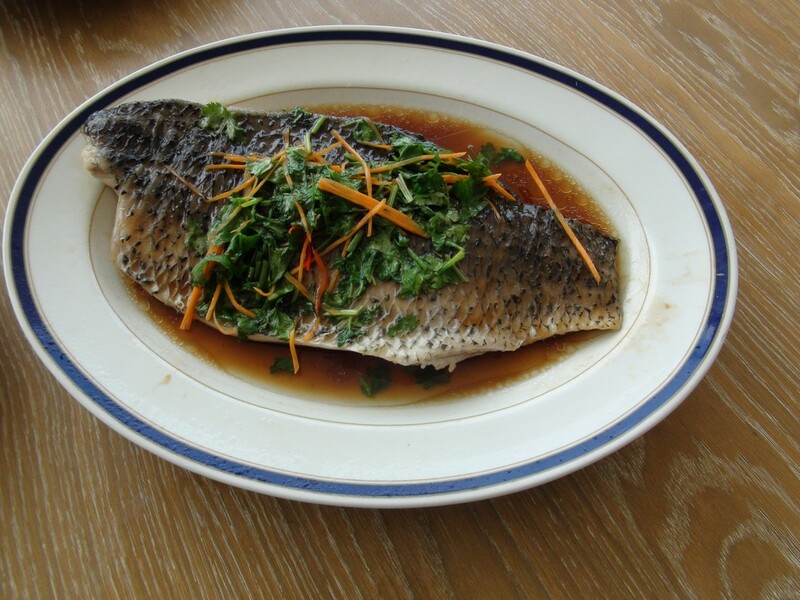 Barramundi is known for its flaky texture, and its mild and sweet taste. As expected, the barramundi dishes that AsiaOne sampled did not have the slightest hint of fishiness at all. Managing Director of Kuhlbarra, Mr Joep Kleine Staarman, offered us his favourite recipe: "Put it in a pan and slather it with unhealthy amounts of butter, and just a little bit of olive oil. "But not so much that it becomes healthy," he joked. 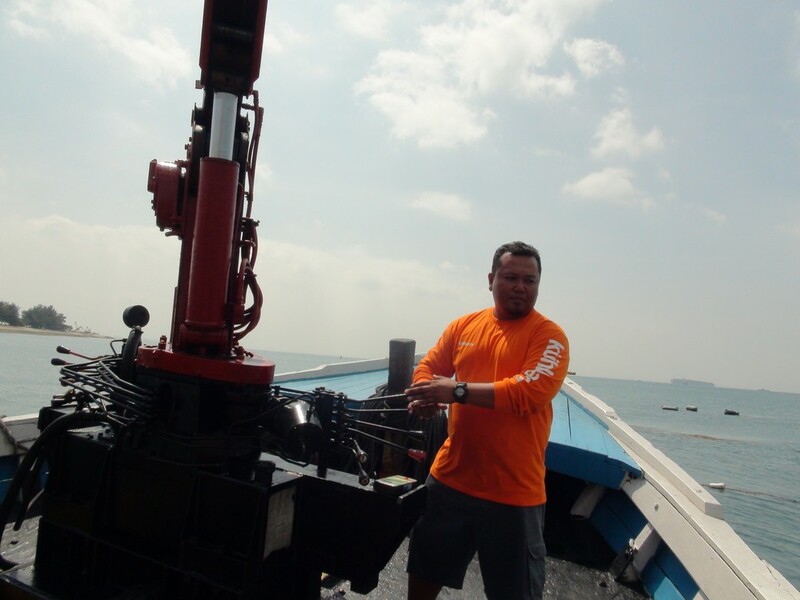 Kuhlbarra has been in business since 2007 under the name Barramundi Asia. The re-branding this year is part of an ongoing process to attach a distinct identity to their products. As an introductory promotion, Kuhlbarra is currently offering cuts of its barramundi at $50/kg. For more information, go to http://www.kuhlbarra.com/.